The hijacking of a Metrobus on Tuesday and the assault on its rider raise new questions about the safety of bus drivers and their passengers. The bus a man armed with needle-nose pliers took control of in Northeast D.C. had no protective shield separating the driver from passengers. 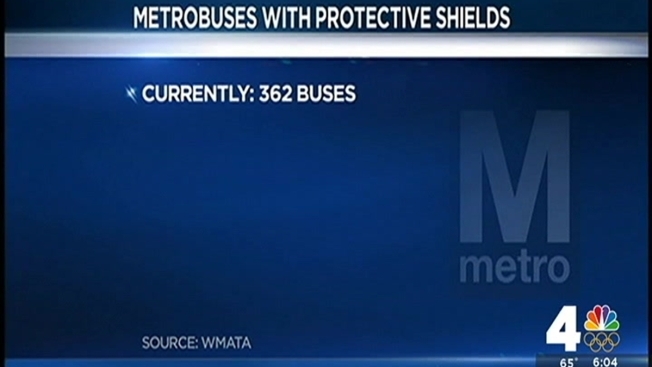 All new buses purchased by Metro will be equipped with the shields, Metro Transit Police Chief Ron Pavlik previously said. Rider Alan Korn said putting a barrier between riders and the public seemed like common sense. "If you can prevent something from happening instead of reacting to it once it does, that sounds like a good idea to me," he said. A Metro official not authorized to speak on camera said Metro officials and union officials are working on new safety training and protocols.